Description: You are bidding on a new Savage 11/111 Trophy Hunter HP in 204 Ruger with a 22" barrel. This rifle comes already setup with a factory bore-sighted Nikon 3-9x40 scope with a BDC reticule. 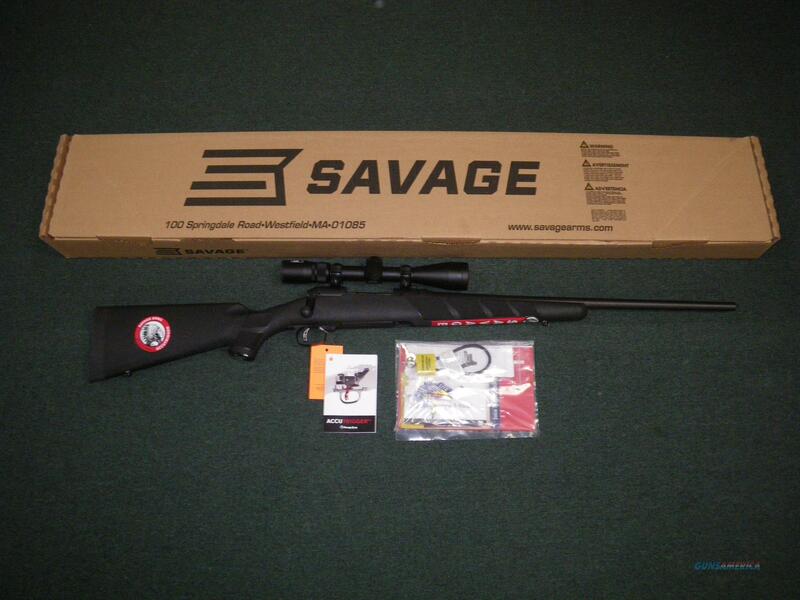 The Savage Accutrigger comes standard along with a detachable box magazine. The black/synthetic finish provides a durable and rugged exterior for many years of use. Displayed images are stock photos. Any questions please feel free to ask (our phone number is in the additional information tab above).